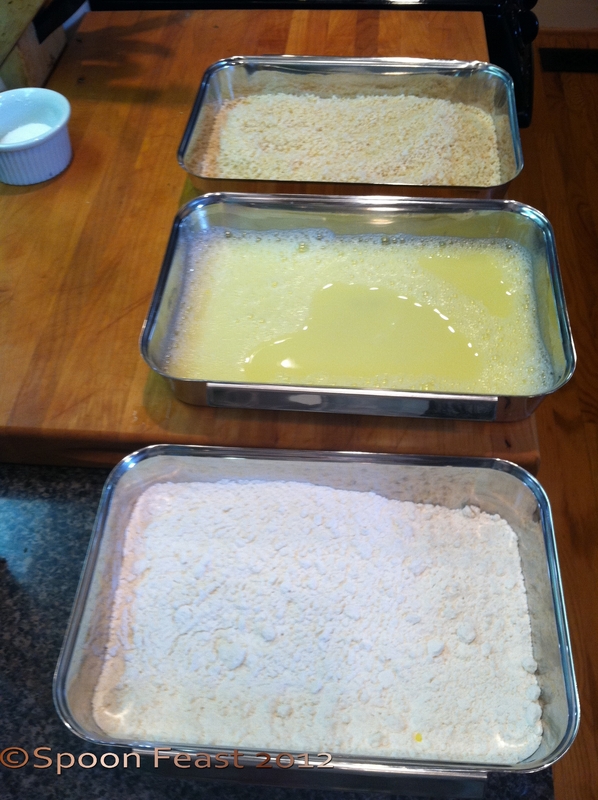 You asked how to bread something to make Tonkatsu or Parmesan style dishes. So here it is! It is a 5 station set-up. 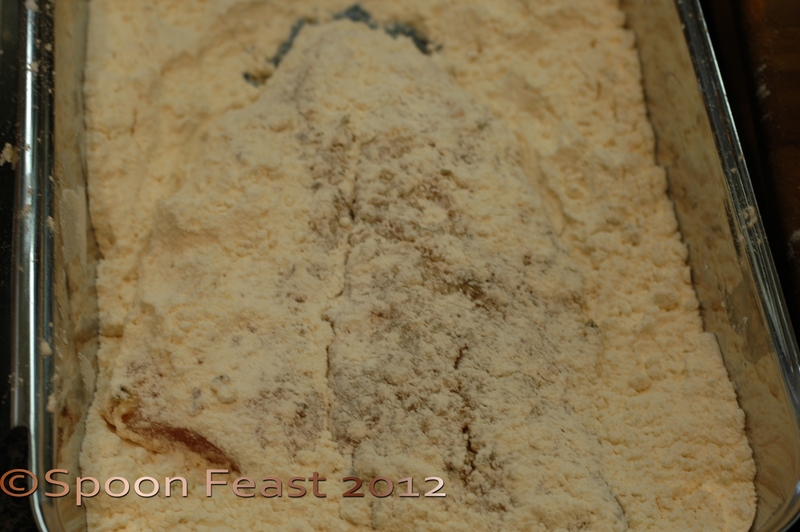 Breading your food using this method ensures a great finished dish. 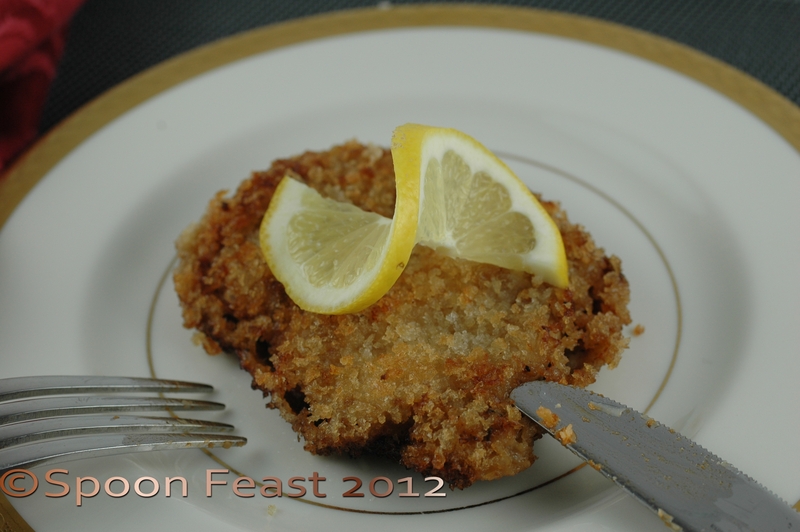 4) Bread crumbs – You can use any bread crumbs, Panko are amazing in my opinion. Instead of bread crumbs, you can also use any kind of ground nut, crushed potato chips, corn flakes, or plantain chips, Trisket crumbs, coconut, etc. 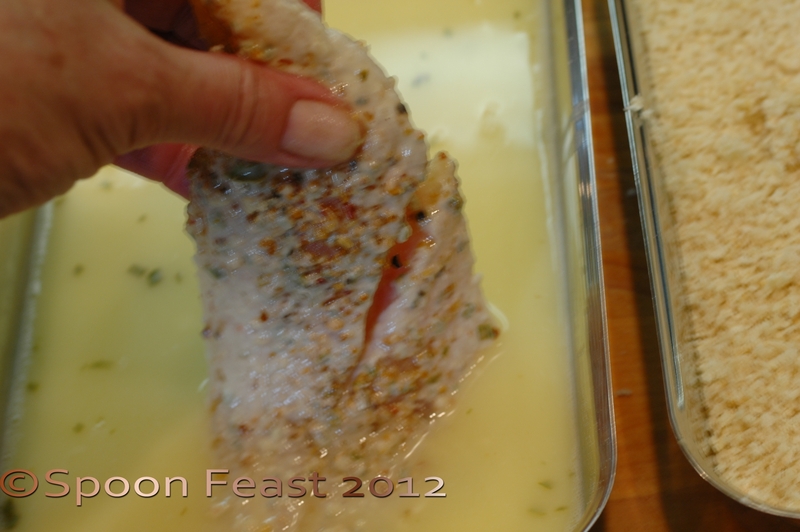 In this post I am using catfish, but the same method works for everything you want to bread. Prepare the product, trim it, skin it, pound it thin, what ever you want to do, do it before it gets breaded. 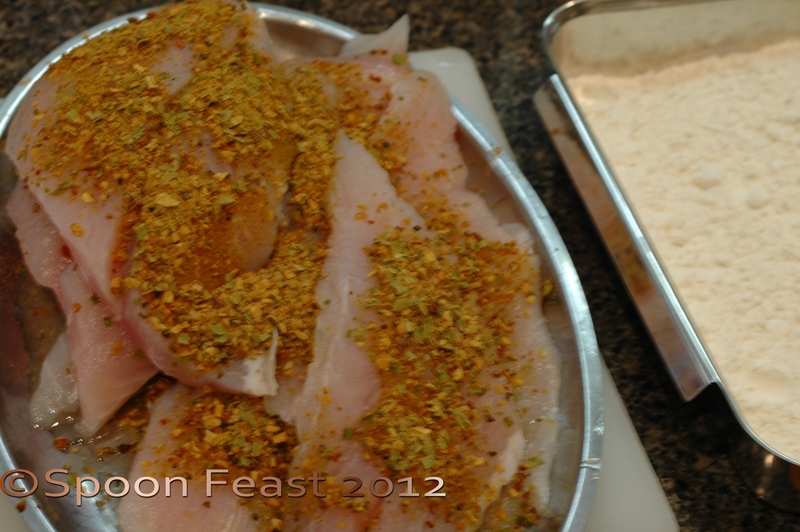 Season with salt and pepper and other seasonings if desired. 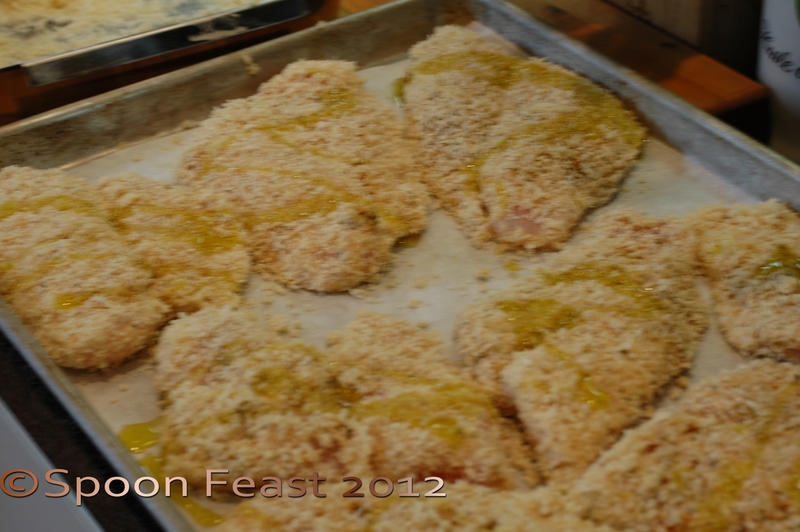 Place the breaded items onto a baking sheet; drizzle with oil. Bake at 375 F for 20-30 minutes to ‘oven fry’ or pan fry in a saute pan with a small amount of oil. When using chicken breasts, you can cut them into fingers or slice a large breast into thirds, place each slice into a zip bag (don’t zip it!) and pound gently it so it gets evenly flattened. Season and proceed with the breading procedure. To pan fry instead of cooking the cutlets in the oven, heat a saute pan to high, add a thin-film of oil to the pan and saute until each side is golden brown. Add steamed broccoli to round out your meal. You can take the plain breaded cutlets and serve them with different sauces and sides to create very different meals from breaded cutlets. Boil some rice, add some frozen green peas when the rice is done. The peas only need to warm through. 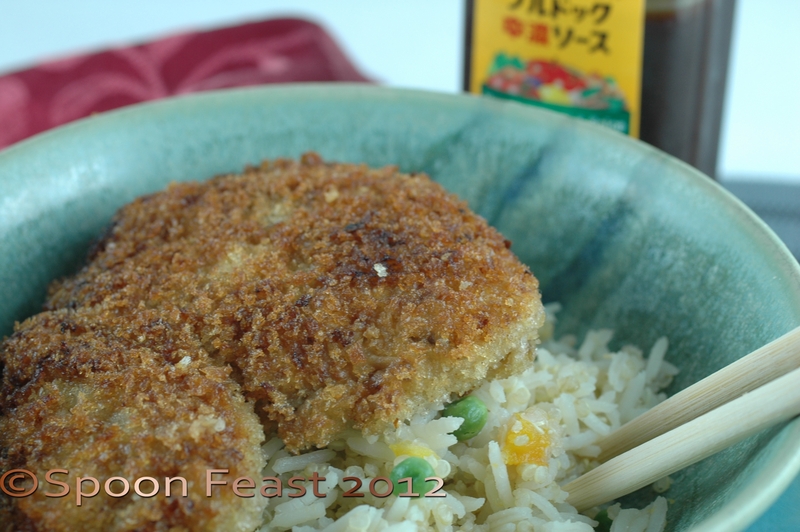 Place the fried cutlet on top of the rice and drizzle with Bulldog sauce. To make a “true” katsudon, place caramelized onions over the hot steamed rice, top with the cutlet and then top it all with an egg. 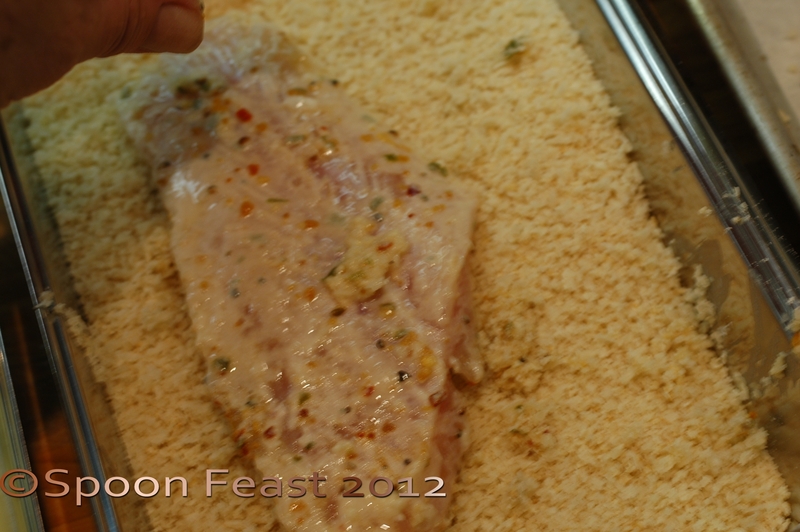 Cover and the steam from the cutlet and the rice will gently cook the egg. Break the egg yolk and stir it in to create a wonderful sauce. 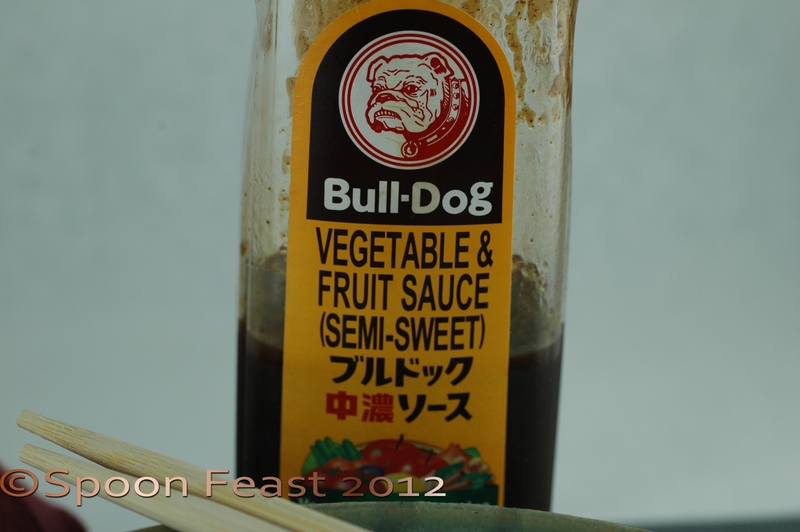 Drizzle with Bull Dog Sauce . 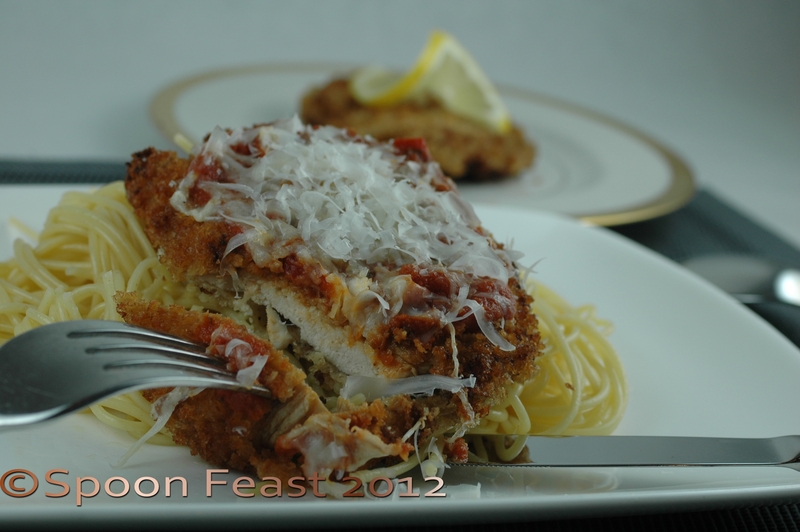 You can create Chicken Parmesan by topping the golden brown cutlet with marinara sauce and cheese – I am partial to Asiago – but Parmesan, or mozzarella are just fine too. Melt and brown the cheese, serve over pasta and more sauce on the side. Top it all with more cheese and serve with a salad on the side. Be careful when pan frying, place the cutlets into the pan so it splashes away from you, not towards you. 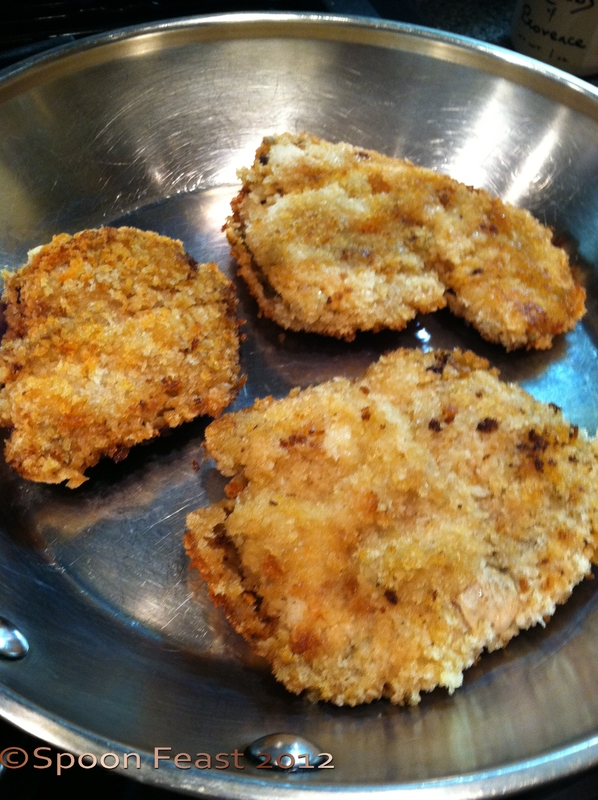 Once the cutlets are golden brown, you can finish cooking them in the oven that has been pre-heated to 350°F. Enjoy making these and think of other ways to serve them too. Change the sauce ( try Thai Green sauce!) and starch. Put a cutlet on a bun, add coleslaw and BBQ sauce to make it into a sandwich.Or make Chicken Piccata with lemon and capers. Let me know if you come up with other ideas! If you want to freeze the breaded cutlets, freeze them raw as soon as you finish breading them. You can cook from frozen over medium heat. This entry was posted in basic skills, Cooking, Recipes, Teaching Culinary School, To Tyler: How to Cook:, What every good cook should know and tagged Basmati, Bread, Bread crumbs, breadcrumbs, bull dog sauce, cook, dinner, Flour, food, Home, Katsudon, Olive oil, panko, Potato chip, tonkatsu. Bookmark the permalink. I live a good schnitzel, one of my favorites is with horseradish, lemon and capers. YUM! Your tutorials will be so helpful to beginning cooks. I especially like the tip about Feb. Thanks Karen! Once the basics are mastered, the sky is the limit. I love to see new cooks take their abilities to new levels. I know they will really appreciate the tutorials you are doing.